Включает в себя веб-браузер, HTML-редактор, ньюс-ридер RSS, почтовую программу и IRC-клиент. Браузер поддерживает просмотр во вкладках, блокировку всплывающих окон, имеет встроенные инструменты управления загрузкой изображений, осуществляет поиск информации по мере набора текста. Почта имеет средства обнаружения рекламы, может менять раскладку окон, поддерживает одновременную работу с несколькими учетными записями, может создавать письма в формате HTML. Компоновщик позволяет создавать собственные HTML страницы, имеет поддержку CSS и позиционируемых слоев. Web-browser, advanced e-mail and newsgroup client, IRC chat client, and HTML editing made simple - all your Internet needs in one application. The SeaMonkey project is a community effort to develop the SeaMonkey all-in-one internet application suite (see below). Such a software suite was previously made popular by Netscape and Mozilla, and the SeaMonkey project continues to develop and deliver high-quality updates to this concept. Containing an Internet browser, email & newsgroup client, HTML editor, IRC chat and web development tools, SeaMonkey is sure to appeal to advanced users, web developers and corporate users. 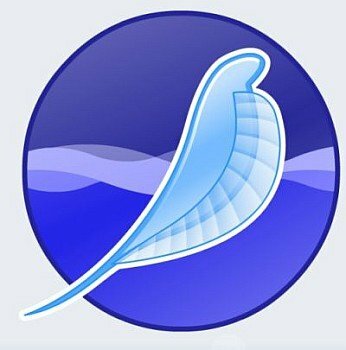 Powered by Mozilla Under the hood, SeaMonkey uses much of the same Mozilla source code which powers such successful siblings as Firefox, Thunderbird, Camino, Sunbird and Miro. Legal backing is provided by the Mozilla Foundation. Junk mail controls helps you take back control of your e-mail from spammers. SeaMonkey's adaptive junk mail control gets smarter with use and is personalized to the e-mail that you receive. Manage your mail with customizable Labels and Mail Views. Color code your e-mail to help you prioritize. Sort your mail with views to help you through your e-mail much faster. Multiple Accounts support helps you manage all your mail through one interface. SeaMonkey Messenger includes Enterprise ready features such as S/MIME, return receipts, Address Books, LDAP support, and digital signing.